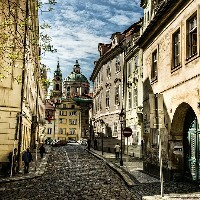 Kampa is not just an actual island, but together with the Lesser Town, it forms a metaphorical island of calm in the very centre of Prague, a place where time has taken a bit of a break. Pull on a warm sweater, tie on some comfy shoes, stop by one of the small cosy cafés for mulled wine or coffee to go, and head out with us to experience its poetic narrow winding streets. After dark, be careful – it’s not uncommon to run into ghosts and water sprites! Kampa Island lies between the main course of the Vltava River and Čertovka, an artificial canal that served as the mill-race for the mills that were here. Today you can still hear the soft clatter of two mill wheels, neither of which perform their original function. The most famous mill on Kampa is, without doubt, the Sova Mill (Sovovy mlýny), home of the Kampa Museum, where a collection of works by František Kupka, Otto Gutfreund, and other renowned artists of the former Eastern bloc is on display. In the park directly adjacent to the mill, you can’t miss three sculptures – David Černý’s Babies – bronze siblings of those babies that scramble up and down the Žižkov Tower. A bit further along, visit the legendary, newly-opened Werich Villa. Here you’ll find an exposition on the history of Kampa Island and the villa itself, as well as an exhibition of the life and work of Jan Werich, a renowned Czech playwright, actor and author. Visit here also the Holanerium, a space dedicated to the poet Vladimír Holan, who lived here for a time. Cross the footbridge at the Velkopřevorský mlýn (mill), and you’ll come to Prague’s famous symbol of peace and love, the Lennon Wall. Protest slogans and messages for Jan Werich began appearing here as early as the 1960s; in the 1970s, it was nicknamed the “Wailing Wall” thanks to the heartbreaking messages and love poems inscribed upon it. After Lennon’s tragic death in 1980, a symbolic tombstone appeared on the wall. Since that time, it has been not only a place where people could express their dissatisfaction with the regime, but also a place to commemorate the life and work of the musician and political activist. Not far from here is the Church of Our Lady Victorious. The church is a beautiful example of early Baroque as well as the home of the Infant Jesus of Prague. Pilgrims and supplicants come from all corners of the world to see this diminutive statue. Many healings and miracles have been attributed to the Infant Jesus, including the rescue of Prague during the Swedish siege of 1639. The Archbishop of Prague crowned the wax statue in 1655. 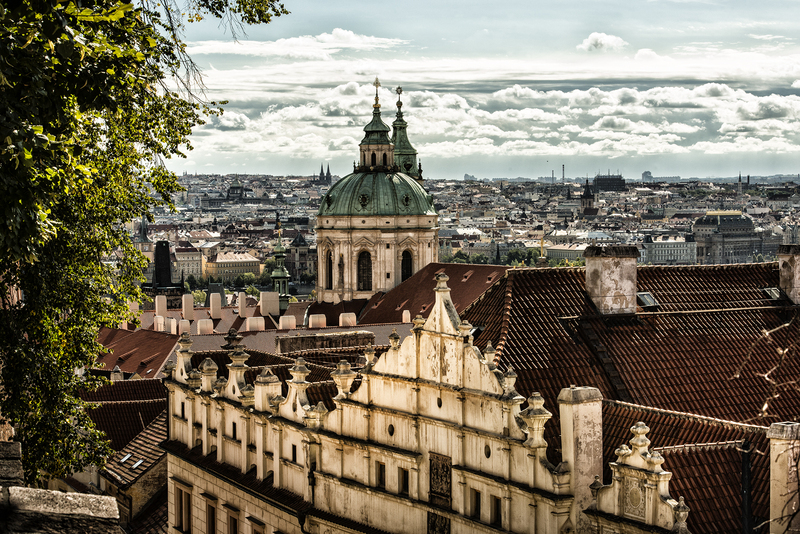 The Church of St Nicholas is considered to be one of the most important Lesser Town monuments, as well as the most significant and most spectacular example of the Baroque style in Prague. Of particular note are the majestic dome and bell tower. Before 1989, the bell tower was used by the State Security Service as an observation tower because of its ideal position overlooking the American, Yugoslavian, and West German embassies. If you’re not afraid of heights, you can climb up into the tower to experience a unique view of the Lesser Town. 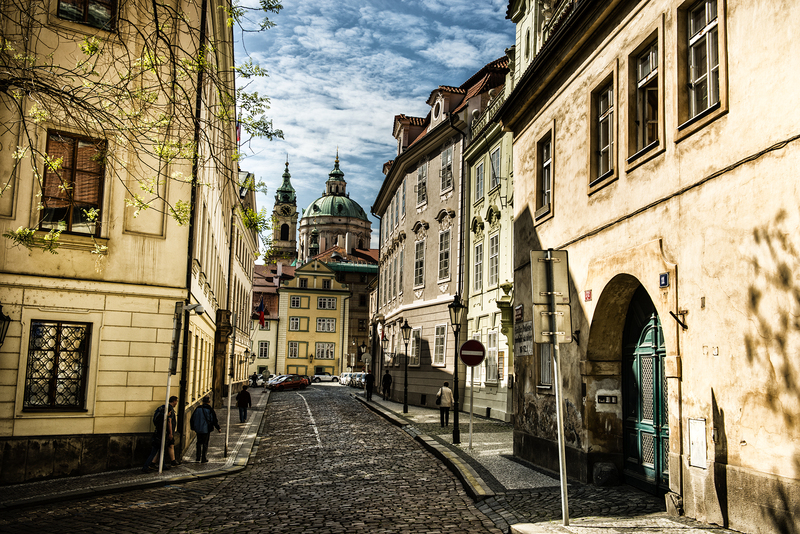 As you head in the direction of the river to U Lužického semináře Street, keep your eyes out for one of the most unusual sights in the city: the narrowest street in Prague. A stoplight controls the access – and at its tightest spot, it’s just 70 cm wide. A few steps away on Cihelná Street, pay a visit to the Herget Brickworks (Hergetova Cihelna). 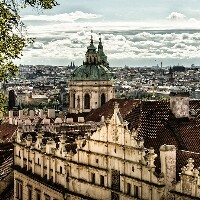 There’s an excellent restaurant here with a breathtaking view of Charles Bridge and the Vltava River as well as the Franz Kafka Museum, which offers a unique insight into the life and world of one of Prague’s most famous native sons. 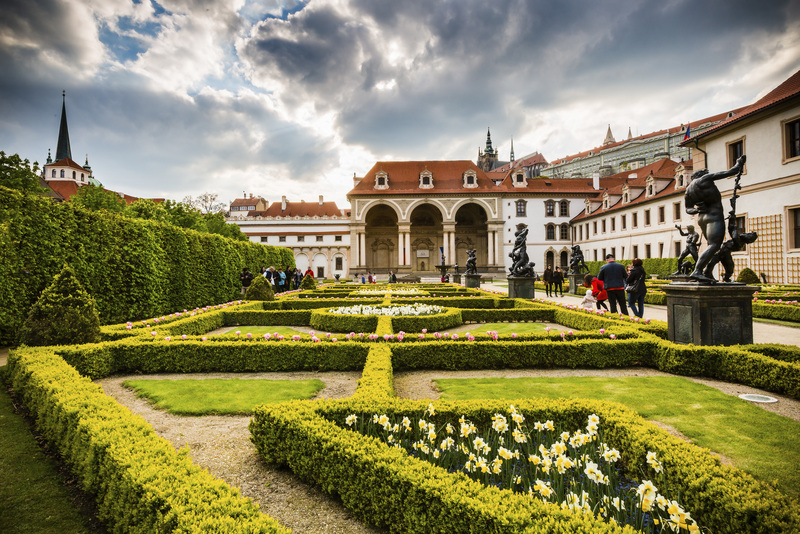 In the courtyard, you can’t miss another atypical sculpture by David Černý of two male figures urinating into a pool in the shape of the Czech Republic. Museum of modern art with a collection of works by abstract art pioneer František Kupka; also holds interesting temporary exhibitions. 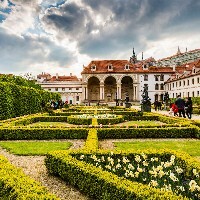 The exhibition here is dedicated to the important personalities from Czech culture who lived in this 16th-century villa throughout its history. Over 400 historical musical instruments of extraordinary value are on display. An interactive exhibition presents the life work of genius filmmaker Karel Zeman and his cinematic special effects that made Czech cinematography famous. A cultural and social centre in a building that once served as the town hall for the Lesser Town. The permanent exhibition presents most of the first editions of Kafka’s works, correspondence, diaries, manuscripts, photographs, drawings, and much more. This luxury restaurant, situated directly on the riverside, is famous for its gourmet cuisine, including world-class fish and meat dishes, over 150 varieties of wine, as well as its incredible view of Charles Bridge. You’ll find this family-owned brasserie serving French cuisine in one of the most beautiful spots in the Lesser Town. A great place to finish up a romantic walk. A renowned gourmet restaurant in a historical building with beautifully painted vaulted ceilings offers its guests French and Czech cuisine with a selection of high-quality wines. The Beseda offers its guests comfortable seating, quality modern Czech cuisine, and excellent beer. On the ground floor of this beautiful historical building, you’ll find a cosy restaurant and a traditional Lesser Town pub in the cellar. Highly recommended for lovers of ice cream, which they serve in an exceptional way – it’s arranged in thin layers to form an icy rose. They also serve excellent coffee. This restaurant with a long history is located right across from the St Nicholas Church. It features a 700-year-old cellar, a street café, and a restaurant. At Coda, you’ll enjoy a fantastic culinary experience in a romantic atmosphere with live piano music. The restaurant is located in the unique, music-themed Aria Hotel. 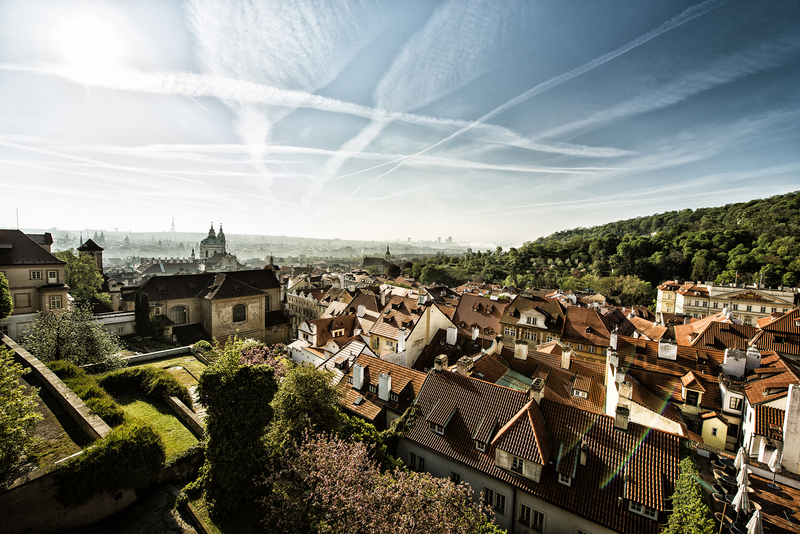 A place to find both traditional Czech cuisine and modern culinary trends, situated in a quiet, yet centrally located area below Prague Castle. A cosy small wine bar close to Charles Bridge, it was one of the first modern wine bars in Prague and is the perfect place to get a quick crash course on Czech and Moravian wines. This pub stands on two fundamental strengths – excellent draft Pilsner beer and traditional Czech cuisine. A stylish restaurant on the riverbank with a spectacular view of Charles Bridge offering fresh seafood and dishes made from it.